Designed for discreet everyday carry. 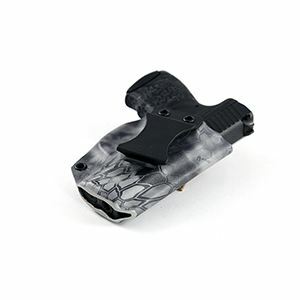 10 degree forward cant aids concealment and reduces printing. Fomi clip offers a secure connection with your belt. High cut for excellent retention. Handcrafted in USA and shipped direct from Manufacturer. Pick a make and model of firearm. 911 .380EMP 3" 9mmXD 3" SubcompactXD 4" ServiceXD Mod 2 4" ServiceXD Mod 2 SubcompactXD Mod 2 Subcompact .45XDM 3.8"XDM 4.5"XDS 3.3"XDS 3.3" w/Crimson TraceXDS 3.3" Mod 2XDS 4"
Let us know your revolver model and barrel length for the best possible fit! Let us know your desired colors, patterns and fit. Got this holster in the Betsy Ross flag for my M&P Compact. I have tried a handful of other IWB holsters for work and everyday, this by far has the best quality and retention. Got this holster for my HK VP40. 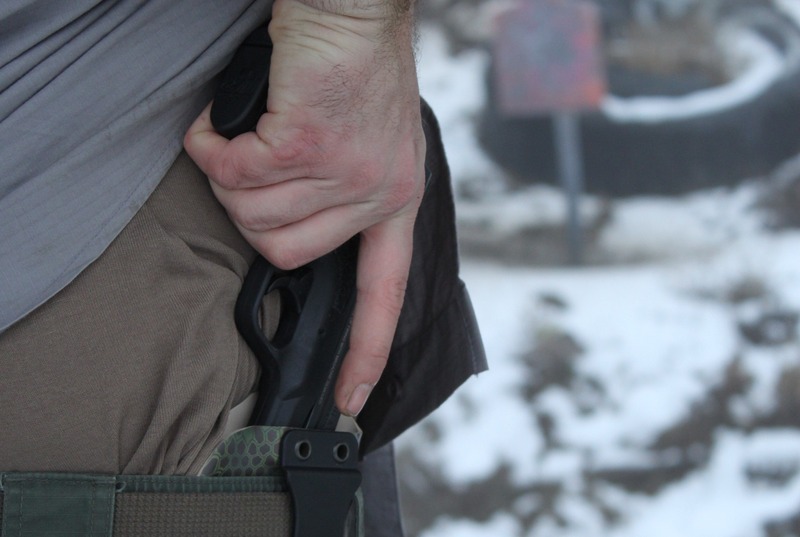 The pistol fits perfect with great retention. I got this holster for appendix carry. Will not be wearing for long periods of time, wanted a holster for my new pistol that I can quickly tuck and go. This is exactly what I wanted. Seems very well made. Will be ordering more holsters in the future. Ordered a while ago for a Glock 43 in KUIU Vias camo. Pattern is very nice and over the time of wearing it the pattern has not come off. 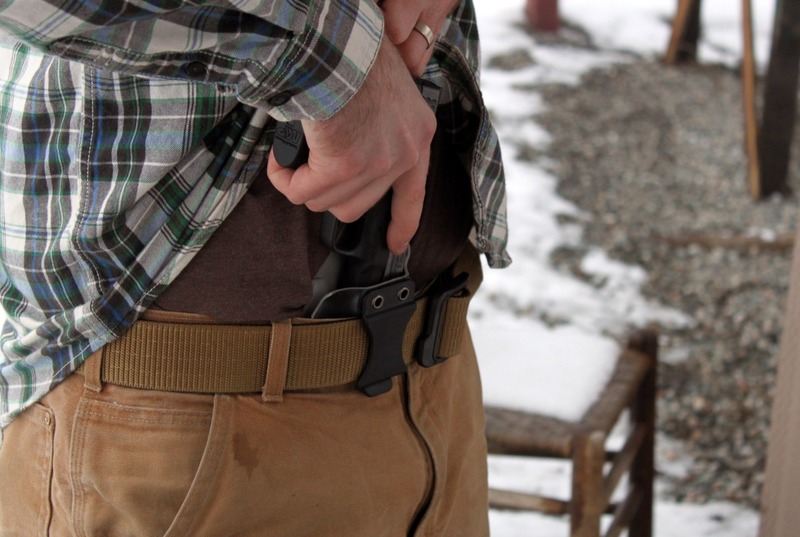 Great retention and satisfying click when reholstered, but not so snug that it tries to pull your belt off on the draw. I gave 4 stars just because for me this did create a sort of hot spot on my right leg after wearing all day. Not so much so that I wanted to return or couldn’t wear, but definitely noticeable by the end of the day. I kind of wish I would have tried the Solace. Will be ordering one of those for a Sig P365 soon so I’ll know if I was right or not in the near future. Got my holster for my P365 and it is perfect. 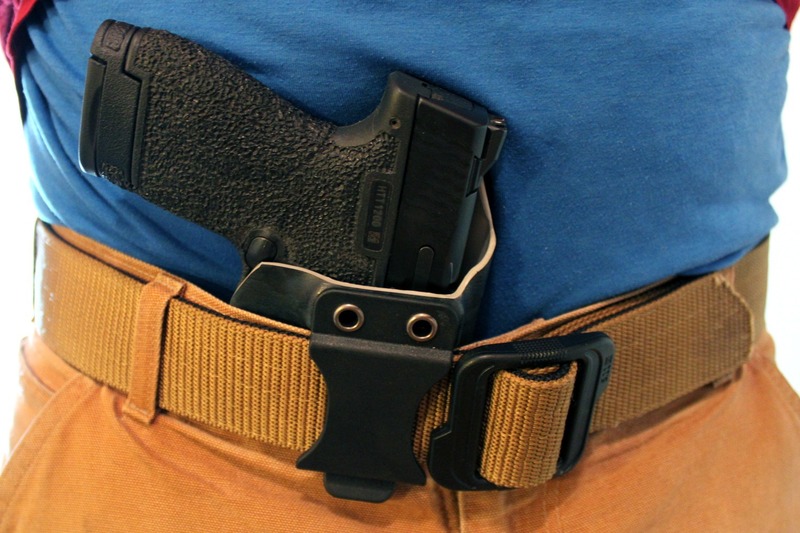 I am a bigger guy and this holster is a perfect fit. I carry this thing every where and the retention is dead on. This is the 5th holster I have ordered and it will not be my last. Keep up the amazing work and quality. This is the holster you’re looking for. I can hear your thoughts now, “but what if…?” NO. Buy this one. Today. It WILL fit, your gun will NEVER fall out. You can wear it all day, sitting, standing, driving, or any other activity, without feeling like someone is driving a railroad spike into your hip. If you want simple with your pistol, buy this and be happy. I have at least 8 holsters from gunfighters [quit counting at 8] and will be buying more. only had one problem. Retention was a little loose on one sent it back and was fixed immediately to my satisfaction. I don’t give out five stars easily but if i could i would give five stars for the holsters and 6 stars on how the professionalism of the company. 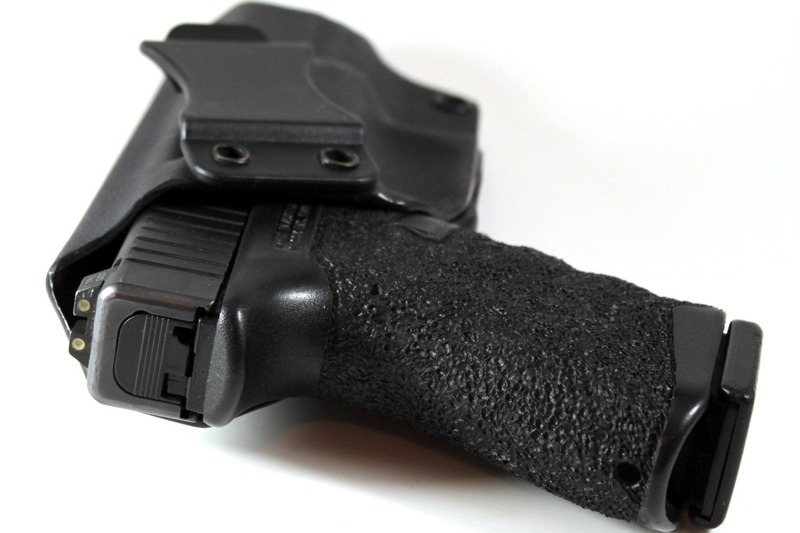 The Wraith is a cornerstone of the GunfightersINC holster lineup. The Wraith embodies Gunfighters’ core objectives of simplicity, ergonomics and reliability in every way possible. 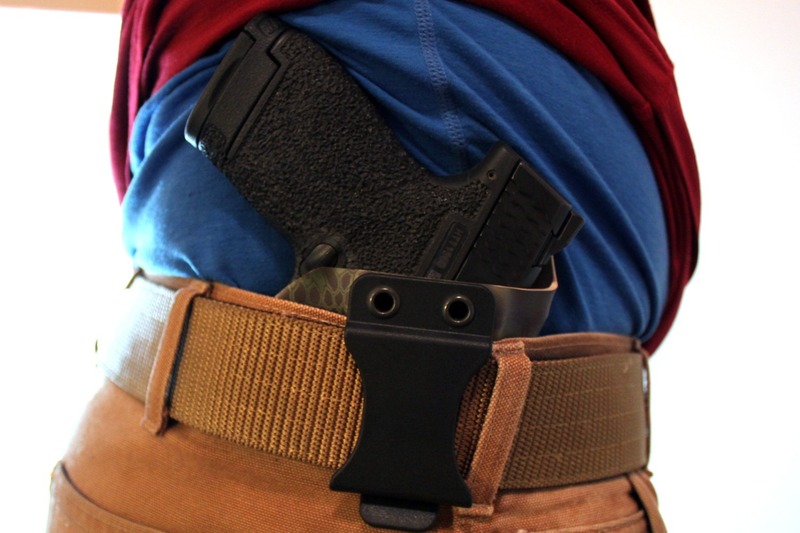 The sooner the pistol comes free of the holster the sooner it can begin accelerating forward toward the threat, for this reason the holster is cut away to to allow for a full un-impeded grip on the gun the first time, every time. 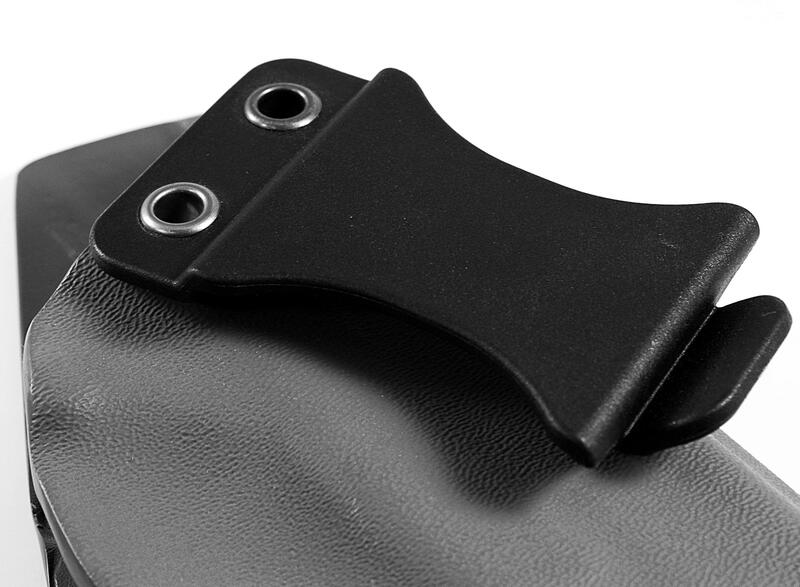 A belt clip is riveted to the front of the holster to hold it securely in place, on the back side of the clip we’ve added a strip of marine grade friction tape to enhance stability. 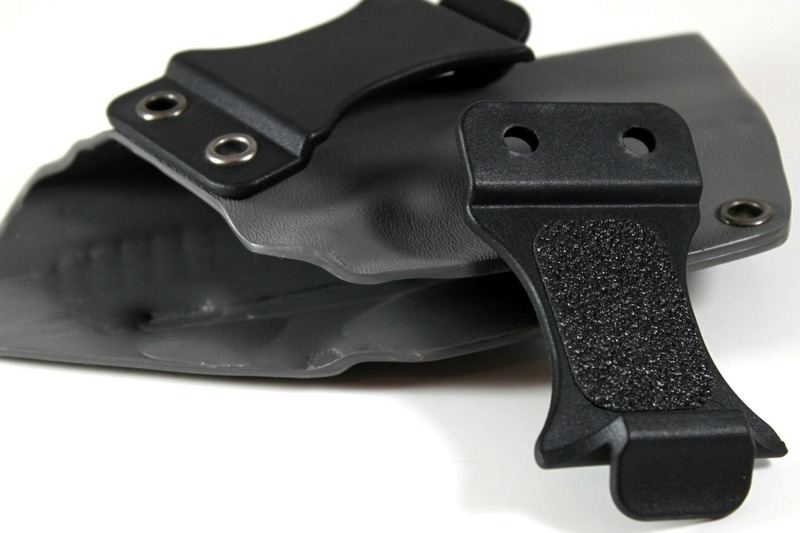 The kydex shell is molded to the exact firearm for a perfect fit and retention. A generous sweat shield helps keep perspiration off your weapon while maintaining a low profile to provide maximum comfort. No threaded fasteners are used in anything we build, the end result is a single, indestructible piece of equipment you can bet your life on,…we do.